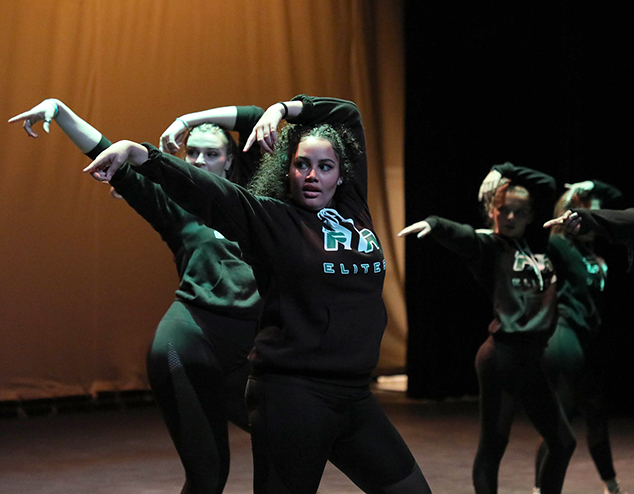 Top: Ryelle Jenifer ’20 dances in the Proctor Elites end of term performance. Middle: Britta Johnson ’19 performed in an end of term performance for Proctor Academy’s theater program. 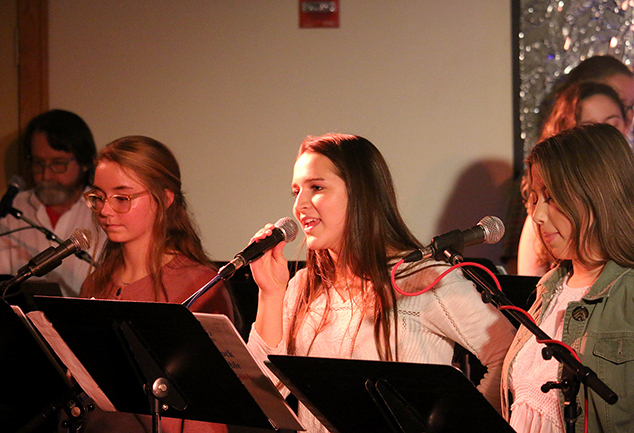 Bottom: Hailey Makechnie ’19 sang in Proctor’s Jazz/Rock ensemble along with Tori Braley ’20. 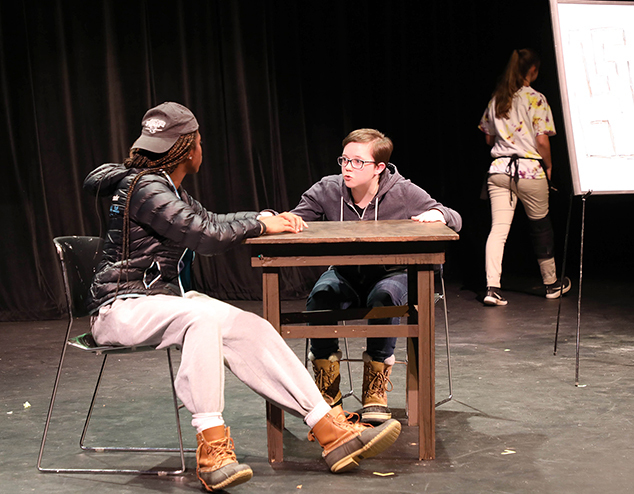 The end of every trimester provides an opportunity to showcase student artwork and to enjoy performances by jazz/rock, dance and vocal music ensembles, as well as a theater production. Local students played a key role in each of these performances as Ryelle Jenifer ‘20 (dance), Hannah French ‘19 (dance), Hailey Makechnie ‘19 (Jazz/Rock), Tori Braley ‘20 (Jazz/Rock), Cedar Kiedaisch ‘21 (dance), Britta Johnson ‘19 (theater), and Amanda Hinds ‘19 (theater) all took the stage and shone brightly! Check out more photos of our Andover students in action at www.flickr.com/photos/proctoracademy/albums/.